Lahore, Pakistan: The head of a new Pakistani Islamist party that lionizes the killer of a provincial governor said it would take its rallying cry of "death to blasphemers" to next year's general election, after its surprisingly strong showing in a recent vote. 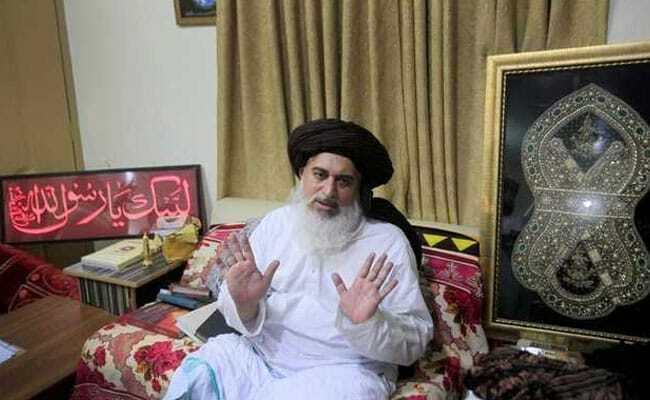 "He is a hero," party leader Khadim Hussain Rizvi said when asked about Qadri, adding that after its third-place finish in Sunday's by-election it would focus on next year's poll. "Our preparation starts from today. We will contest bravely." While the party has almost no chance of gaining power next year, it is part of a new crop of political movements that espouse stricter Islamic rule as a remedy to corruption accusations and squabbling among Pakistan's three main parties. Frequently citing Koranic verses and Pakistani history, he said his party could solve corruption problems "in a day" through stricter adherence to sharia, or Islamic law. "Sharia will have to be enforced. No one should be worried about it," he said, sitting in the upper room of a Lahore mosque surrounded by followers, many who had adopted Qadri's signature look of long hair and kohl-lined eyes. But it is best known for its public and passionate support for Mumtaz Qadri - campaign rallies featured posters with Qadri's photo - and its insistence that Muslim-majority Pakistan's blasphemy laws should remain among the world's harshest. After his arrest over the killing, bodyguard Qadri drew a slew of admirers among Islamists who showered him with rose petal at court hearings. Tens of thousands thronged his funeral last year to condemn Sharif's government for his hanging. Asked about Qadri's role as an inspiration to the party, leader Rizvi said: "He is a hero until doomsday. He is a hero beyond doomsday." Asked if any Muslim has the obligation to kill a blasphemer, Rizvi said: "No ... there is a law. Hand him over to that." The seat was won, as expected, by Sharif's wife, Kulsoom, but the ruling Pakistan Muslim League-Nawaz (PML-N) party's share of the vote in the constituency was cut to 49.3 percent from 61 percent in a 2013 election. But much of the PML-N's margin loss came from votes cast for candidates of new Islamist parties. Religious parties have never gained more than a few seats in Pakistan's parliament because they tend to appeal to one particular sect or a single issue, such as blasphemy. Tehreek-e-Labaik's Rizvi said his only goal was to see a stricter vision of Islam enshrined in the law of the land. "We want to bring the religion of Islam to the throne," he said.